Canadian scientists Felix Pharand-Deschenes used satellite images to map the human influence on Earth, depicting how much it has changed, as seen from space. Pharand-Deschenes used data collected by various government agencies to create these striking images. 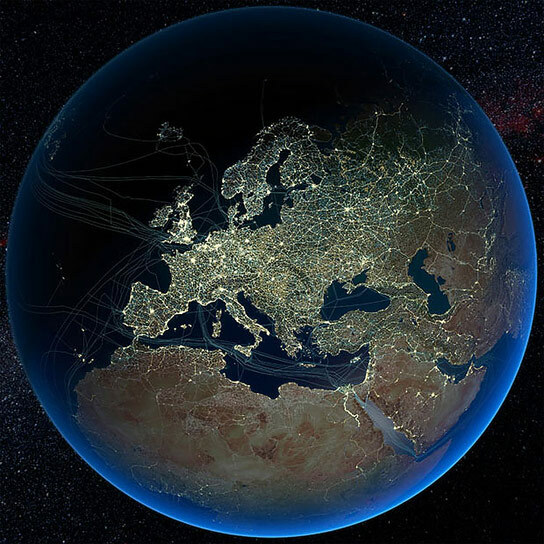 The images show everything, from paved and unpaved roads, light pollution, railways, electrical transmission lines, all the way to submarine cables, pipelines, shipping lanes and air traffic. The images also highlight the disparity between the first and third world. 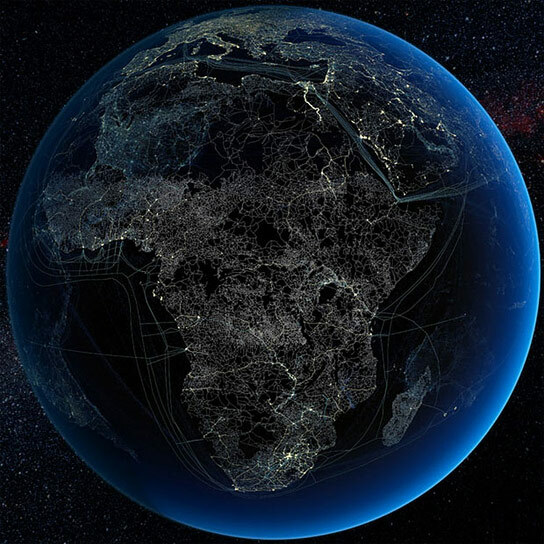 London, Paris, Berlin, and parts of North America burn bright, while Africa, South America and large parts of Asia remain shrouded in darkness. Pharand-Deschenes states that the patches and dots of light tell an important story about modern times. Humans are causing detrimental effects on Earth through unnecessary lighting. Japan is also a stark contrast between the rest of Asia, being brightly light from coast to coast. 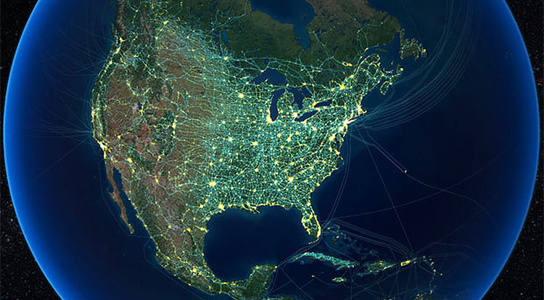 Dark places on the maps are places where the human population density is low or where the energy infrastructures are either damaged, non-existent, or too expensive to develop. Be the first to comment on "Felix Pharand-Deschenes Maps Human Influence On Earth"